The annual awards season is upon us. In the film world, the Golden Globes have already been presented, ahead of the announcements for this year’s Oscar nominations next week (on January 24). Likewise, in the theatre there’s the Oliviers, of course, the theatre industry’s pat on its back to itself, that leads the pack in terms of glamour (this year they will be held at the Royal Albert Hall, no less), but they’re far from the only game in town. Other awards ceremonies are often a more reliable and/or impartial guide to what deserves recognition. Here are the top 10 awards ceremonies for theatre activity and achievement in Britain. 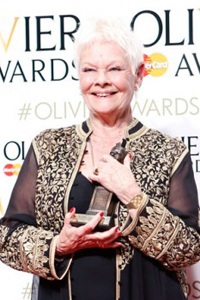 Now named in honour of Lord Olivier, the Oliviers last year celebrated their 40th anniversary of marking the London theatre year – or at least the year of theatres which are members of the Society of London Theatre, the trade body that looks after the interests of theatre owners and producers. Originally unappetisingly called the SWET Awards, when SOLT was previously the Society of West End Theatres, they have gained in stature during the past few years as a concerted effort has been made by SOLT chief executive and Olivier Awards producer Julian Bird to up their game, returning it to being a theatrical event (after years in which they had been presented in hotel banqueting rooms), with several consecutive awards held at the Royal Opera House. This year it moves to the Royal Albert Hall, with the post-show celebration to take place at the Rosewood hotel in Holborn, with guests to be bused between the two. There remain questions about how the nominations and winners are chosen though, with the entire SOLT membership being offered a say in both. This paper’s very own awards celebrate the finest theatre achievements of the past year, in 10 categories: Regional Theatre of the Year, London Theatre of the Year, Fringe Theatre of the Year, Theatre Building of the Year, Producer of the Year, School of the Year, International Awards, Sustainability Award, Innovation Award and Unsung Hero. It leads on from The Stage 100 list, our annual guide to the movers and shakers of the theatre industry across the country, and is decided by an editorial panel from The Stage, following an open nomination process in which the public and professions alike are invited to send in their submissions for each. 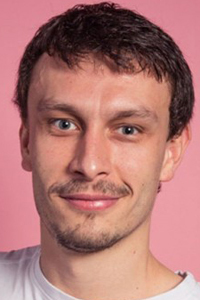 A shortlist, steered by an industry focus group, is published, ahead of the awards themselves being presented at the annual party and awards at Theatre Royal, Drury Lane. Launched in 1989, the annual Critics’ Circle Theatre Awards are among the most prized of all the annual ceremonies, as they come from the critics themselves (to declare an interest, I am chairman of the drama section that runs the event and whose members vote for the winners). 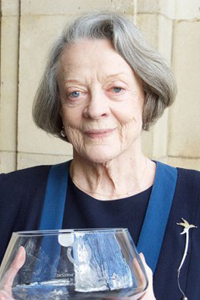 But there’s also a delightful informality to the event, held in the Delfont Room bar of the Prince of Wales Theatre, where an invited guest list of winners, industry figures and critics come together in an air of celebration, rather than anxious criticism. There is also a separate awards ceremony for Scottish theatre critics – Critics’ Awards for Theatre in Scotland. The longest running of the theatre award ceremonies, the London daily paper’s prize giving was first established in 1955. Its credibility has taken a tumble during the past few years however, as a series of judging decisions have been called into question (and several of its judging panel of critics duly resigned); it now appears to be mainly a celebrity gathering to celebrate the largesse and friendships of proprietor Evgeny Lebedev and his editor Sarah Sands. 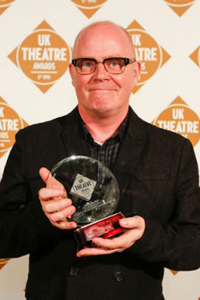 A particularly odd decision in 2016 was the award for best director to John Malkovich for a show he directed at the Rose Theatre in Kingston that won over the more conspicuous directorial contributions of people such as Harry Potter director John Tiffany. But there’s a good dinner for invitees in the stalls (while media and drama students get to look on unfed from seats in the dress and upper circle). Formerly known as the TMA Awards, the UK Theatre Awards – administered and presented by the trade body representing UK regional theatres, the sister body to SOLT – is the only awards to recognise individual theatre productions and performances throughout the United Kingdom. The annual ceremony takes place in October at London’s historic Guildhall. There are also smaller regional awards offered in Manchester. The Off-West End Awards, or Offies as they are known, are a channel for recognising the achievements of productions seen in London’s vast network of fringe and off-West End theatres that are not routinely acknowledged in the other main ceremonies. A extensive judging process means that assessors are sent to every eligible show, who report back to the judges (of which I am one), on what’s notable. The winners are announced online. When: Nominations for this year’s awards will be announced on February 5, with the winners being live tweeted by Patrick Stewart (@SirPatStew) on February 26. The Empty Space Peter Brook awards also recognise fringe and studio theatres in London and beyond, but look at artistic policy and the body of work produced in each rather than individual productions. Now in their 27th year, the 2016 awards were presented at the National Theatre’s Studio on November 1, and saw the New Diorama win the main prize. The whatsonstage.com website’s awards, in which selection of nominations and winners is entirely by public vote, are in their 17th year. Voting is open for this year’s Awards here; the winners will be announced at the annual public Awards Concert, being held this year at the Prince of Wales Theatre on February 19. Collecting an award for best play for One Man, Two Guvnors a few years ago, playwright Richard Bean ruefully remarked: “Now I know what Robert Mugabe feels like.” That goes to the heart of a public vote, in which voters need not have even seen the shows they’ve voted for; it becomes a popularity contest. It is nevertheless a fun addition to the theatrical calendar as an indicator of what is popular. 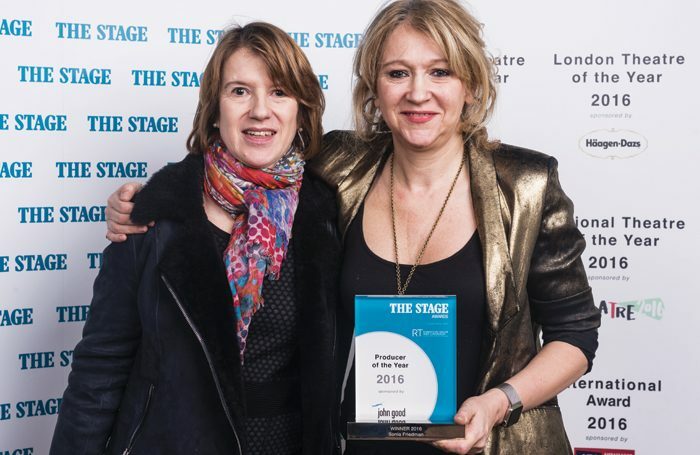 To declare an interest, I set up these awards, now in their third year, with former whatsonstage.com editorial director Terri Paddock, to flag up achievements in categories not covered by other award ceremonies. The categories covered include marketing achievements like Best Twitter Engagement, Best Show Poster and Best Show Trailer; performance categories like Best Ensemble Performance; Best Solo Performance; Best Shakespearean Production and Best Musical Cabaret; two musical theatre categories to recognise Best Musical Direction and Best Original Music; and two general categories, London Newcomer of the Year and Theatre Event of the Year.